Take advantage of our April Accessory Sale and save! Hurry before it's too late! 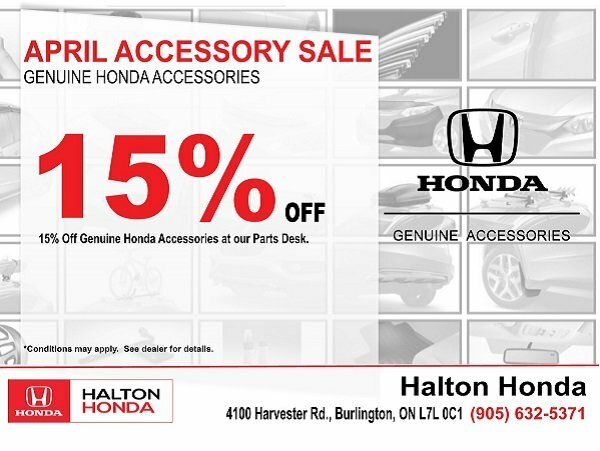 Come visit us at Halton Honda today.